The time command might not be the most frequently used one in a Linux terminal, but that doesn’t diminish its usefulness. If you want to know the time required for the command to run, as well as some other details, this is the right command for you. The developers are among those that commonly use this command because they often need more information about the script or program’s performance. 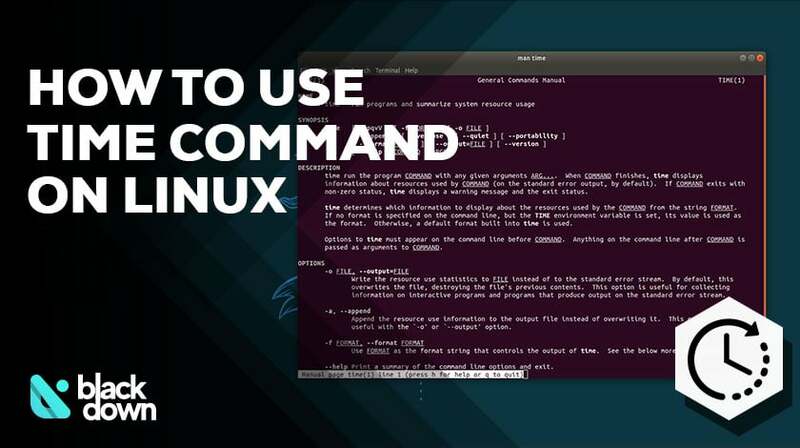 Let’s take a look at how you can take advantage of the Linux time command. Elapsed (total, real) – this shows the actual time from the moment that you press enter to execute the command until it is completed. User – the portion of CPU time utilized in the user mode. Sys (system) – the portion of CPU time utilized in the kernel mode. The crucial thing here is the change at the beginning of the line. We used a different way of typing the command because the “-o” function is not supported by the integrated time command. The “-o” option is what tells the system to write the results to a file. The path we specified is the destination of the desired folder. After executing the above line, you can see the results of the “time” command (in this case, ping of the “mywebsite.com” site) in the “time.txt” file in your “/www/var/” folder. We already mentioned that you would get three lines as a result of a time command by default. But what happens when you want to adjust the results and need additional information? Keep in mind that there is a difference in using lowercase and uppercase letters. time -f "Total time %E, Inputs %I, Outputs %O"
Feel free to tailor the results to your needs based on the above suggestions. You can also use the “man time” to get an overview of everything that you can do with the time command. Linux time command is a useful utility that can be helpful to developers and those who want to know more about their system, scripts, and programs. The crucial thing to keep in mind is that Ubuntu might not accept the default “time” command, which is why you should use “usr/bin/time” to run the command.